Welcome to the first stop aboard Magical Blogorail Red. 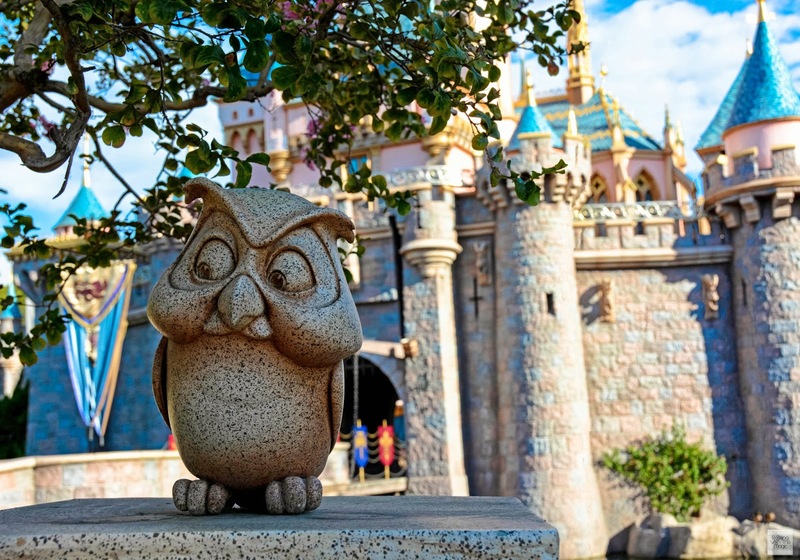 Enjoy the ride as we share our Disney bucket lists. Participate in a runDisney event - I have seen my friends post on Twitter and Facebook, not to mention their blogs, about the fun they are having at the different runDisney events. The other appeal for me is the sense of accomplishment they seem to get from completing each run. I am really looking forward to being able to post my own fun pictures with a medal around my neck - and to meet all my fabulous friends. I borrowed this picture from my favorite runDisney girl Donna from DIStherapy. Visit Disneyland - recently Mike (My Dreams of Disney) and Melissa (Disney on Wheels) went west to visit the park that started it all. I really want to see Sleeping Beauty Castle (she is my favorite princess after all) and walk in Walt's footsteps. There's something special about knowing that you are standing in a spot your idol once stood. I get goosebumps just thinking about it. I borrowed this picture from Melissa with Disney on Wheels - she's fresh off a visit to Disneyland. Visit the Walt Disney Family Museum - Being a girl from Alabama who has never been further west than Texas if I get to visit Disneyland I have to visit the Walt Disney Family Museum, I know that it is 400 miles away, but I may only get to visit California once so I have to make the most of it. Have a Dole Whip - yes you read that correctly I have never had a Dole Whip and I need to see what all the hype is about. Ride Tower of Terror - I am a huge baby when it comes to rides the biggest, baddest ride I have been on at WDW is Soarin'. No joke- my hands were sweating. I am going to find the nerve to ride ToT promise. I really want to see the queue because I love the backstory to the ride. Meet Sleeping Beauty - aka Aurora or even better Briar Rose(did I mention she's been my favorite princess since I was 5 years old?) I haven't gotten to meet her yet. If anyone has any tips for meeting her please let me know. 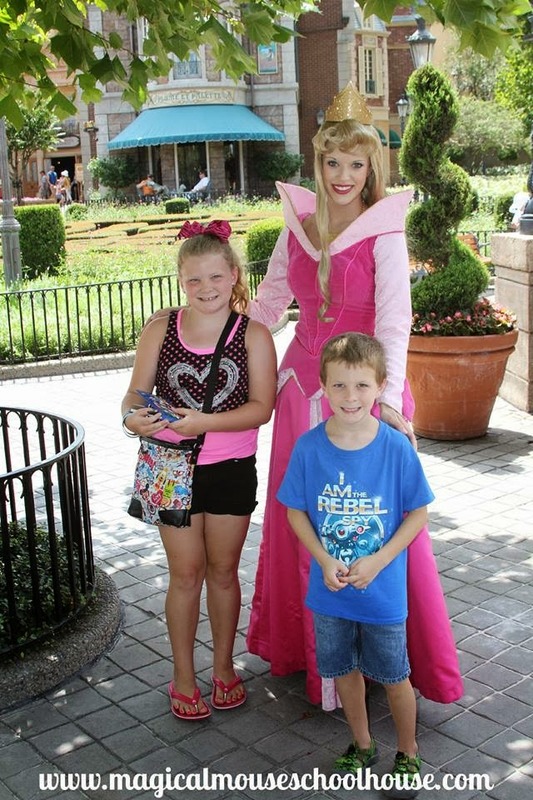 Borrowed this picture from my friend Jodi at Magical Mouse Schoolhouse - aren't her kids cute!! See Fantasyland - Fantasyland was under construction during out last visit and I cannot wait to see it all and of course eat at Be Our Guest. Artwork is property of Disney. Visit Walt Disney - One Man's Dream - I am really ashamed of myself for not doing this already...I have no excuses. I will mark this one off of the Disney Bucket List on my next trip, guaranteed. Meet my Disney Family - There are some Disney bloggers and fans that are like family to me - most of them are part of the Magical Blogorail. They are all such wonderful people and there's nothing I would love more than to be able to meet them in person and give them a big ole' hug. I have more but it would take all day, I told you I want to see and do it all. I can't wait to see what the rest of the Magical Blogorail Red have on their Disney Bucket Lists. I'm hoping to cross one of those off my bucket list in 2016- The Disney Family Museum. Three cheers for hubby's business travel! Kuleen take lots of pics so I can see!! My hubby isn't much of a traveler so I may have to travel to the West Coast with Dakota, he's always wanted to go to California. Awww... I love your list! And "meeting your Disney Family" is a great one, I may have to snag that. I wish I could have been there too Tami!! Our last trip was me, Mike & Dakota - I can assure you that my teenage son and husband were not worried about looking for any characters. :( I really want to meet all of you guys - you bring a smile to my face every day and I feel like we've all known each other for forever!! I don't know why I didn't include the Walt Disney Family Museum on my list, it's a very obvious choice and one I really need to do as well. The Dole Whip? That I find hard to believe, but let me give you some advice... eat this very slowly and in small bites. Finally the Tower of Terror; well it took me two trips before I went the first time, skipped it the next and finally went twice last year. You'll survive! Great choices! Your first two are on mine too! Fortunately I get to cross off run a runDisney event after I run my first one in January. Hope you get to cross some of yours off soon. Thanks Lisa! I am no where ready to even think about a runDisney event - Good Luck with your first one in January!! Paige, I think I will be able to handle it. If I can't talk my hubby and son into riding it with me I will track you down.. I promise to post my thoughts when I get to mark it off of my list. I'm debating seeing the Family Museum when I'm on the West Coast next year. Oh Donna, you need a Dole Whip STAT! Your list and my are so close. I would love someday to run a Disney marathon. I can only imagine how that must feel! I have a couple of those on my own bucket list. Specifically visit Disneyland! Well I'm stopping in Decatur the next time I go to Ft. Campbell to visit Ash. The last time it was raining so hard and you were so close to delivering "E" I didn't want you out on the roads. I would love to show you around Disneyland sometime, just let me know! I'll let you know when I finally make it to the West Coast Mindy. Wow - you still have a lot to do! I recommend Akershus - it's a great breakfast and you're almost guaranteed a meeting with Aurora. 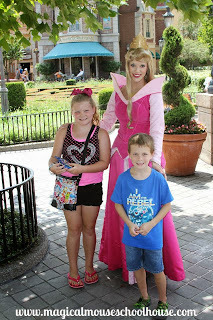 We've also met her several times in the Princess Meet & Greet at the MK. Well, you know I'm rooting for #1, but I wouldn't mind visiting the Walt Disney Family Museum with you too!! I say we meet at Disneyland, have a dole whip there, run in a runDisney event, then travel to the Disney Museum and I will knock out almost half of my list! !